Emerging Markets Power (EMPower), a wind energy developer headquartered in Dublin, Ireland has chosen BrightWind for its wind resource assessment needs. EMPower is actively developing green field wind energy sites in emerging markets with a particular focus on Africa and the Middle East. These sites require realistic assumptions of capacity and energy yield to set sound expectations and inform sensible development decisions. “EMPower are a great client for BrightWind. We are delighted to be helping them with their rapid expansion into emerging markets. Working on development teams for many years we like to see ourselves as an internal wind analysis team or as an extension to an existing one. We like to familiarize ourselves with the complete project and can therefore offer advice on how wind analysis impacts on other aspects of the development cycle.” says BrightWind Director, Shane Martin. 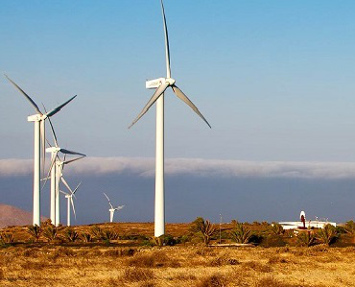 Emerging Markets Power (EMPower) is an Irish based pan African renewable energy developer, currently developing a 500MW portfolio of greenfield wind and solar PV assets across Sub Saharan Africa. This entry was posted in News on December 14, 2015 by Brightwind.